There are a lot of questions that you may have if you are considering laser vision correction surgery. By researching those questions, you have taken an important step towards understanding how this procedure can safely and effectively improve your vision when performed by an experienced surgeon using the right equipment. At Griffin & Reed Eye Care, we want to answer some common questions that we hear about blade-free, all-laser LASIK in order to help you feel comfortable about making this commitment to improving your vision. What do you see during LASIK? You will see a pattern of lights during your procedure. 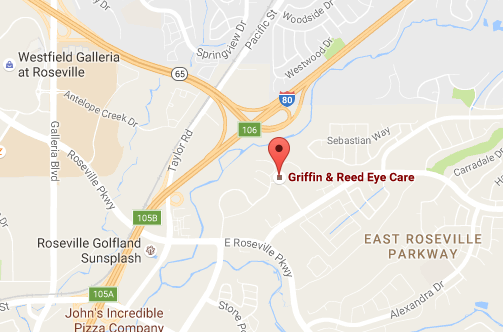 At Griffin & Reed Eye Care, we believe in using the safest and most accurate technology available for your LASIK surgery. That is one of the reasons why we use the Alcon WaveLight EX500 laser. The EX500’s advanced lighting system uses four lights that are positioned like the corners of a rectangle, with another fixation light in the middle. This innovative combination of lights can help your eyes maintain the correct alignment during surgery. How do we keep your eye still during LASIK? The WaveLight® system helps minimize eye movements during surgery by providing you with a light to focus on. However, the Alcon WaveLight EX500 laser uses a very precise tracking system to monitor any unintentional eye movements and make adjustments accordingly within milliseconds. Another advantage of the EX500 is the speed of its eye tracker during treatment. For example, Visx’s (another laser brand) eye tracker operates at 60 Hz (tracks the eye at 60 times a second), while the EX500 operates at 1050 Hz, thereby dramatically increasing precision. What happens if I blink during laser eye surgery? This is one of the most common concerns that we hear about LASIK, even though it is actually impossible to blink during the procedure. We use a special retainer to gently hold your eyelid open. Your eyes do not need to be open for long, as each eye often requires less than a minute of actual laser time, and the entire procedure generally takes less than 15 minutes to perform. We also use anesthetic drops to completely numb your eyes for the procedure, so it will not cause you any discomfort to be unable to blink. We have also compiled a collection of LASIK questions and answers as a helpful resource for individuals who are considering this surgery. However, the most effective way to answer your questions about this procedure is to schedule a complimentary, no pressure consultation with our laser vision correction surgeons. Our extensive experience allows us to thoroughly discuss all of your concerns. We want you to feel informed about LASIK and your vision correction options. The experienced laser vision correction surgeons at Griffin & Reed Eye Care can answer your questions about LASIK and determine your candidacy during a complimentary consultation. Schedule your consultation by calling 916-485-2020 today. We welcome patients from across Northern California at our Sacramento and Roseville locations. 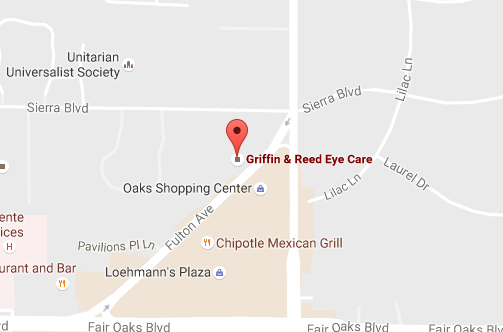 We want you to feel comfortable choosing Griffin & Reed Eye Care for your LASIK procedure. That is why we are proud to offer 20/20 Vision From Your LASIK Surgery Or Your Money Back to qualified patients. We can make this offer because we are confident in our ability to deliver the results that you desire. Your satisfaction with the results of your surgery is our top priority.